Unrestricted access, a high degree of convenience, as well as a purist design are all features of the Schüco ASE 60 / 80 aluminium sliding system. It can be adapted to individual requirements by offering a narrow interlocking area, a level threshold and a number of different opening options. The modular and scalable profile system with concealed fittings components highlights the high-quality design, even when the vent is open. In addition, optimum adjustment of thermal insulation levels ensures it even meets passive house standards. 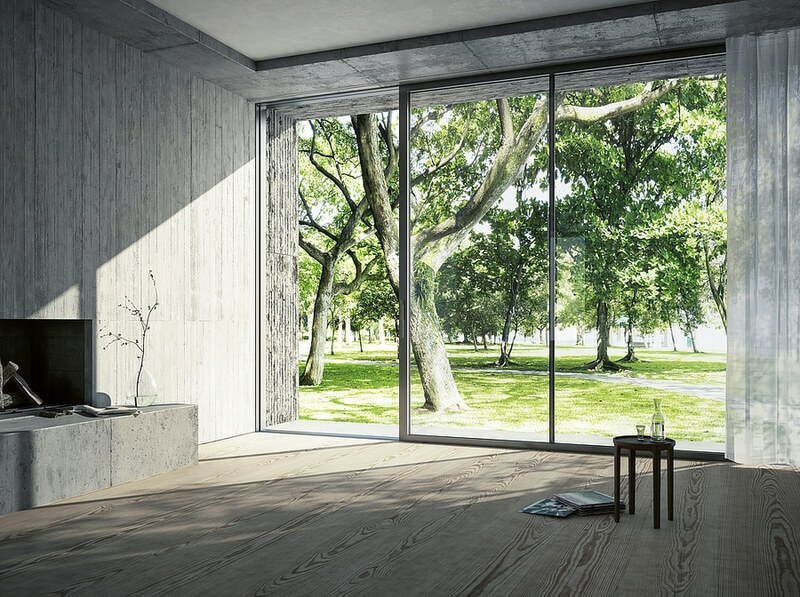 The purist design of the Schüco ASE 60 / 80 aluminium sliding door system gains merit with its versatile product properties that can be adapted to suit individual requirements.